BYD, which built the battery in your ’90s cellphone, now produces more EVs than anyone—and it wants to sell them to you, soon. Sign up for Next China, a weekly email on where the nation stands now and where it’s going next. Americans associate electric cars with the luxury of Tesla, the unrivaled conveyance of choice for the Sand Hill Road set. 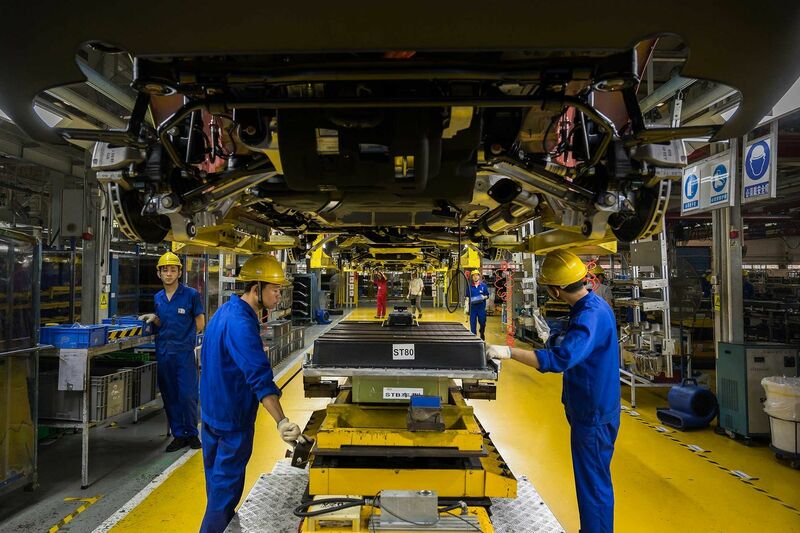 But these newly assembled vehicles, part of a family of SUVs called the Tang that retails from about 240,000 yuan ($35,700), are aimed squarely at middle-class drivers in the world’s largest electric vehicle market, China. Their manufacturer, BYD Co., is in turn the No. 1 producer of plug-in vehicles globally, attracting a tiny fraction of the attention of Elon Musk’s company while powering, to a significant extent, a transition to electrified mobility that’s moving faster in China than in any other country. 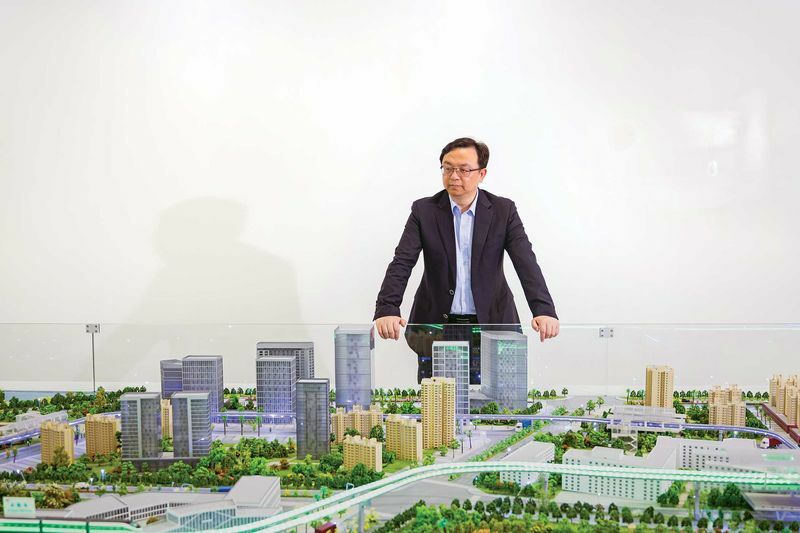 Founded in Shenzhen in the mid-1990s as a manufacturer of batteries for brick-size cellphones and digital cameras, BYD now has about a quarter-million employees and sells as many as 30,000 pure EVs or plug-in hybrids in China every month, most of them anything but status symbols. Its cheapest model, the e1, starts at 60,000 yuan ($8,950) after subsidies. Workers on the factory floor. 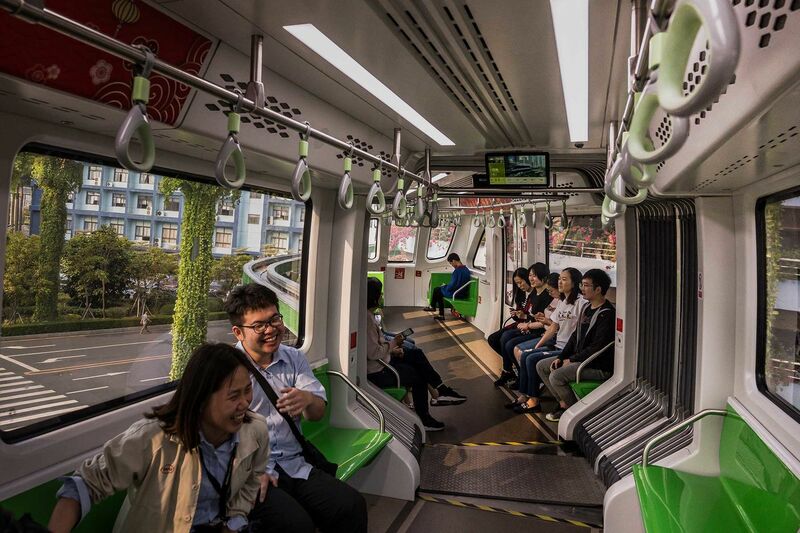 BYD’s rail transit project Yunba operating at the company’s Shenzhen headquarters. 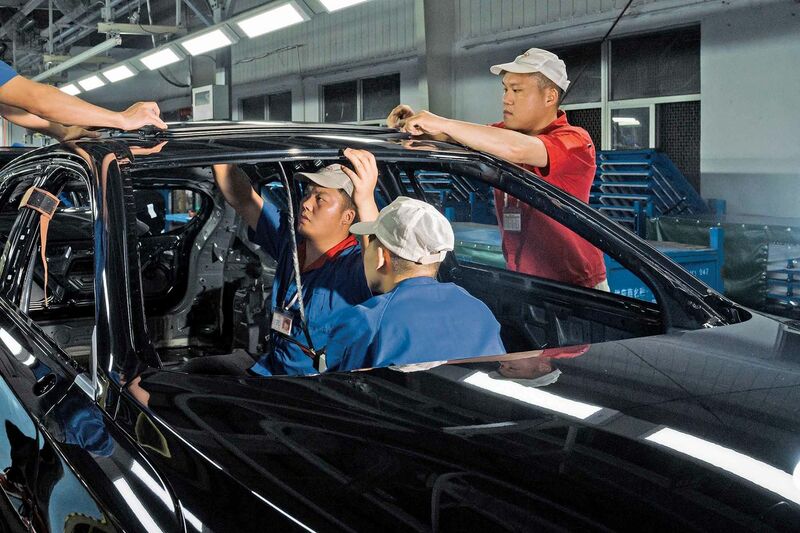 Workers install the battery on a BYD car at the Shenzhen factory. 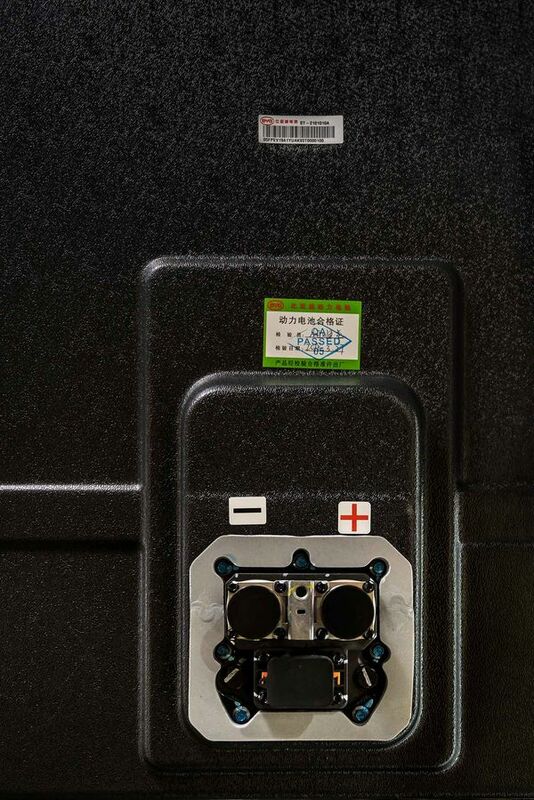 A battery for a BYD car. 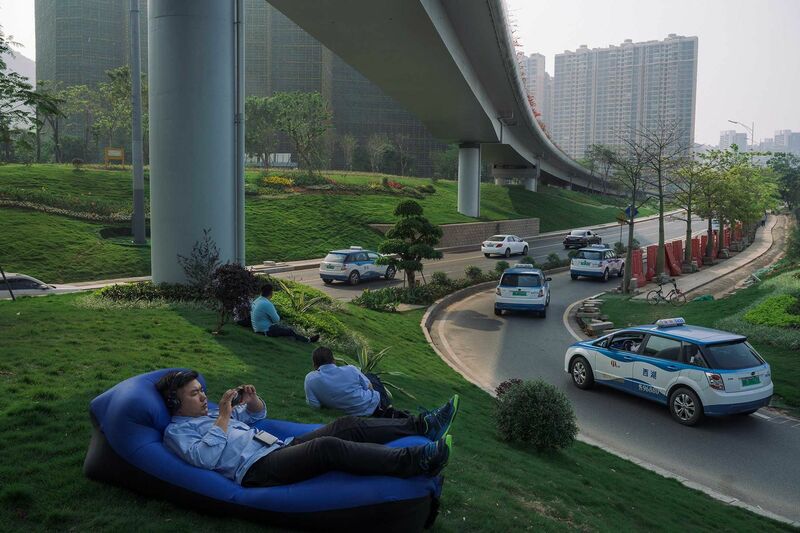 Taxi drivers rest between rides in Shenzhen. If the concept seems contrived, it hasn’t deterred Chinese consumers. The plug-in hybrid version of the Tang was China’s third-best-selling electric vehicle in January—excellent for a high-end model in a crowded market. (Another BYD SUV, the midrange Yuan, was No. 1.) An ad campaign starring a grim-faced Leonardo DiCaprio, flooring a Tang down the streets of Los Angeles, probably helped.